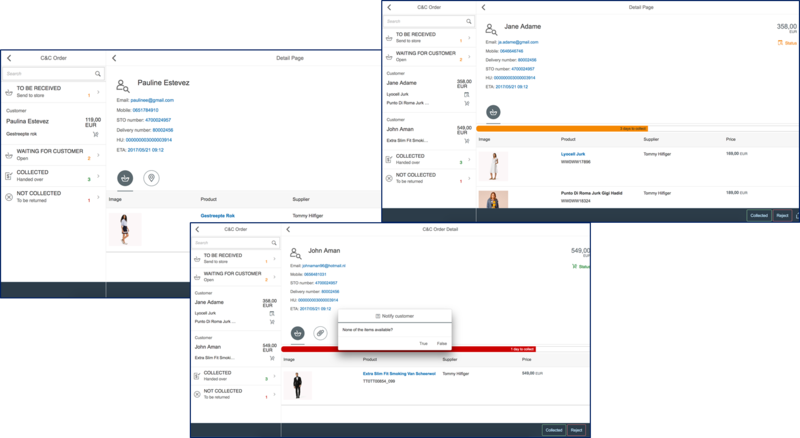 As member of the SAP Fiori Makers’ Community, I would like to introduce you to the e-commerce Fiori app which we have developed for PVH. 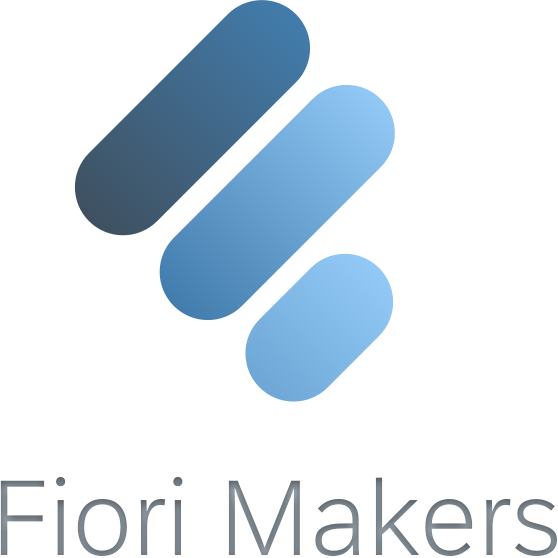 This blog will explain the project and the app, but eventually you can get all the details in the next SAP Fiori Makers call on Thursday November 9, 2017. PVH is one of the largest global apparel companies with over $8 billion in revenues. It’s most famous brands are Calvin Klein and Tommy Hilfiger. The goal of our project was to improve the e-commerce process, specifically provide the options for customers to order items in the web shop and pick them up in a physical store. The app we developed is used in the stores by the store employees to manage this process. As PVH is all about fashion and design, this was a very important aspect of the project. We started with identifying the personas: store manager, stock room manager, sales assistant. They are all young, busy, tech-savvy with mobile first mindset, keen on design, and have little/no SAP knowledge. The big difference among them is that only store managers and stock room managers and authorized to accept or reject packages. This had to be translated into the Fiori app. We had weekly design mapping meetings with the participation of a key user, the Fiori retail manager, the designer, developers, and the product owner. In these meetings, we balanced the design requirements with the Fiori guidelines and made constant compromises to reach the high expectations of the business within the budget. Our designer used invision, which our developers translated into prototypes in SAP Build. 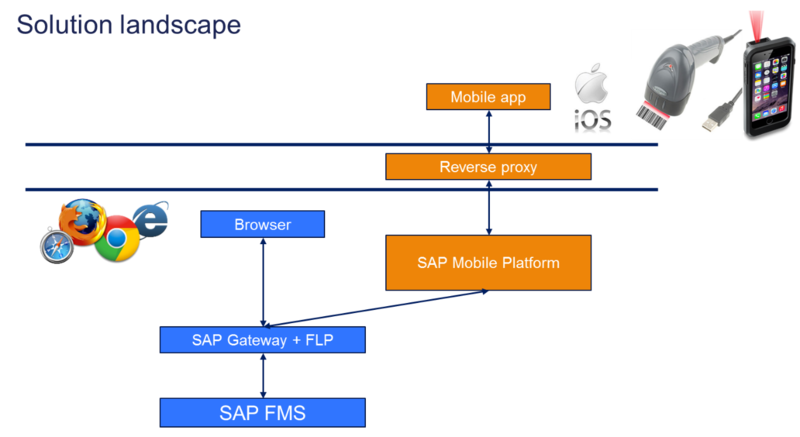 We created a custom Fiori client, which is basically a hybrid app connecting to SAP Mobile Platform showing the entire Fiori launchpad. We made quite some extensions of the standard Fiori apps. We enabled integration with USB scanners and external laser scanners. Security was a key topic, because we had to establish communication from the stores to the SAP backend. After many design iterations and scrum sprints, we reached a product. 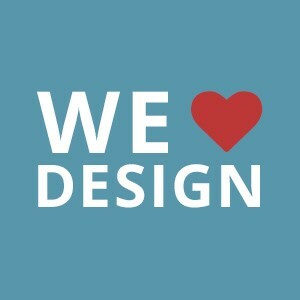 The main lesson learned from a design point of view was to follow the design process very strictly and not try to make jumps. Few times we started to develop features while the requirements were still not clear enough and this resulted in some re-work. It’s a delicate balance to find the right level of agility. Come and join the next SAP Fiori Makers call to see the demo of the app and even more importantly, Kai Richter, Chief Designer and Head of SAP Fiori Design Concepts, will join the call to explain how to apply the newest SAP Fiori concepts to our app. Thanks for sharing the process used in creating the e-Commerce App. Interesting to see invision prototype converted to BUILD 🙂 Can you share info on how external customers log into the application to raise an order ? We are not creating orders in the app, but we accept parcels in the shops and hand over parcels to the customers. The users are shop employees who log in with user ID and password, which is of course managed by SMP. Thank you for your demo of your solution in the Fiori Makers Call. I wanted to know, if you have a future roadmap for this app, in terms of integrating with a Business Process Trigger ex: trigger future orders etc.